Complete this form and a Trident University Admissions Advisor will contact you within 1 business day. I agree that by submitting this form I give express consent to Trident University to contact me at any of the telephone numbers I provide including cellular or wireless numbers – using any means including automated dialing, pre-recorded messaging, email, and text/SMS (charges may apply), for advising, enrollment, tuition settlement or telemarketing. I understand that consent to receive calls is not required as a condition of purchasing goods or services. I may contact Trident University directly at . Dr. Louis is the Dean for the Glenn R. Jones College of Business. Her main area of expertise is Organizational Behavior. She has been with TUI since May 2003. Dr. Louis holds a Bachelor’s degree in Psychology from the University of Texas at Austin, an MBA from Southern Illinois University (where she was named “Most Outstanding MBA Student”), and a PhD from the School of Industrial and Labor Relations at Cornell University. Prior to joining the faculty at TUI, she taught at Carnegie Melon University and the State University of New York at Buffalo. Dr. Louis’ research interests fall generally in the area of intergroup cooperation and conflict. She is active in the Academy of Management and has served as an officer of the Conflict Management Division. 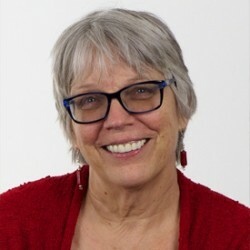 She has won several awards for her research including a Best Dissertation Award and a Best Paper Award from the Academy. Her teaching experience spans the range of undergraduate, masters, PhD, and executive education. Dr. Louis is particularly passionate about creating courses that involve direct learning through an experiential approach. She has won several teaching awards and was named as one of the most popular professors at SUNY Buffalo by Business Week. Dr. Louis has a long and varied consulting history, working with such companies and organizations as: United Cerebral Palsy, Occidental Chemical, Corning Incorporated, American Publishing Management Services, Drake Beam Morin Inc., and the Illinois Department of Employment Security. Trivia fact: Dr. Louis (then Connelley) served on the staff of Governor Bill Clinton in Arkansas. Woodhull. M.D and Louis, DJ (2009) Why did they do that??? A cross-cultural study of daily decision-making by Mexican maquiliadora and US/Canadian managers. The Business Journal of Hispanic Research, (3) 1, 77-93. Elmes, M. and D.L. Connelley. (1997) Dreams of diversity and the realities of intergoup relations in organizations. In P. Prasad, A.J. Mills, M. Elmes, & A. Prasad (eds.) Managing the Organizational Melting Pot: Dilemmas of Workplace Diversity. Louis, D.J., Culpepper, A. and van Heerden, E. (2010). “Quality Education on Demand.” WASC-ARC conference, Long Beach, California. Connelley, D.L. and E. Goodrick. (2005) "When a rose is not a rose: A 21st century vision of institutional conflict." 2005 Academy of Management Annual Meeting, Honolulu, HI. Connelley, D. L. and D. Conlon. “The effect of social identity on negotiation expectations”, Academy of Management Annual Meeting, Chicago, 1999. Trident University is the realization of the dream that individuals who thought they could never get a college degree can achieve that dream regardless of location or occupation. THANK YOU FOR YOUR INTEREST IN TRIDENT UNIVERSITY INTERNATIONAL. CURRENTLY WE HAVE RESTRICTIONS FOR ENROLLING STUDENTS FROM GEORGIA, NEW YORK, AND MASSACHUSETTS. PLEASE CONTACT OUR ADMISSIONS DEPARTMENT FOR INFORMATION ABOUT YOUR ELIGIBILITY TO ENROLL AT TRIDENT 866-404-7325. Registration is limited to previously admitted students as Trident is not authorized to enroll any new or prospective students in Minnesota or Oregon. Trident University International (TUI) hosts and attends many events and gatherings throughout the year. As part of TUI’s ongoing communication about these activities, photos and/or videos from those events may be posted on TUI’s website or social media pages. It is possible that an individual may appear in these photos or videos. Please contact TUI if you would like to have your picture or video removed. Upon receipt of this notification, TUI will remove the images as soon as viable.